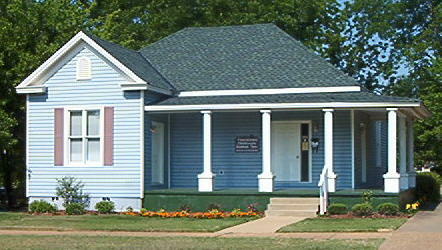 The Tuscaloosa Children's Center, Inc. Welcome to The Tuscaloosa Children's Center, Inc. (TCC)! For more than 30 years, TCC has been providing services to child abuse victims and their supportive, non-offending caregivers. Our agency operates in a child friendly facility where multidisciplinary team members work together to ensure that families receive the necessary services. Our goal is to ensure that child abuse victims will receive the services, advocacy and support needed to live happy, healthy and productive lives. In the near future, our agency will be relocating. While we are deeply saddened about the pending condemnation of our current property, we are optimistic about continuing our mission and expanding our agency to serve our growing number of clients. This will also give us the space needed to support anticipated expansion of services in the coming years. With your support, our agency can continue serving the children in our county and meet the needs of our changing Tuscaloosa community. Our child advocacy center is the only agency in Tuscaloosa County that provides these specialized counseling services for child victims of sexual and/or severe physical abuse. The services provided by our agency are sustainable, effective interventions that change the course of a child’s future. Would you like to be a part of something exciting and life-changing in your community? Help us meet our goals to acquire new property. We have received several generous donations necessary to help us with our relocation, but we still need additional assistance to complete our project. Your donation will have a transformational and lasting impact on the lives of Alabama’s smallest victims of crime for years to come. You can donate through our website, send checks to the address noted below or call us at (205)752-7711. We can also use volunteers to assist with cleaning, painting, restoration, landscaping, organizing storage areas, packing, etc. Thank you! Copyright © 2015 The Tuscaloosa Children's Center, Inc.